Interestingly, ‘Junga’ is being produced by Vijay Sethupathi himself and instead of charging remuneration, Vijay has agreed to produce the film on a profit sharing basis. Actor Vijay Sethupathi, who is fondly called as Makkal Selvan, will next be seen in a film titled ‘Junga’ that is being directed by Gokul. ‘Junga’ stars Sayyeshaa as the leading lady in the film and the shooting of the film is currently underway in France. 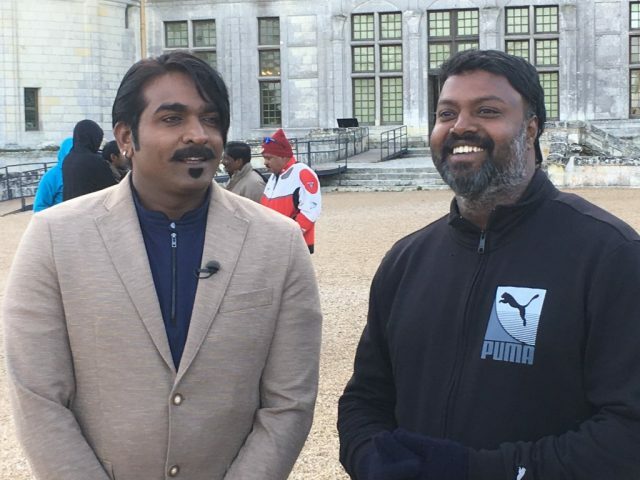 A picture of Vijay Sethupathi is going viral on social media which reveals one of his looks from ‘Junga’. Vijay Sethupathi looks Uber cool and stylish in this look, which is something he has never tried and sported before. Interestingly, ‘Junga’ is being produced by Vijay Sethupathi himself and instead of charging remuneration, Vijay has agreed to produce the film on a profit sharing basis. It is being reported that ‘Junga’ will be the biggest release in Vijay Sethupathi’s career in terms of grandeur and budget. ‘Junga’ will be shot majorly in France while the rest of the portions will be shot in Austria, Croatia, Bulgaria and Chennai. Vijay Sethupathi will also be seen in genius Mani Ratnam’s upcoming film which is yet to be titled. The film will also feature Jyothika, Simbhu, Fahadh Faasil and Aishwarya Rajesh in other lead roles. Vijay just had a release, Karuppan, which had a decent run at the box office. Touted to be a set in a rural backdrop, Karuppan had Vijay playing the role of a bull tamer which he pulled off with utmost ease, as always.